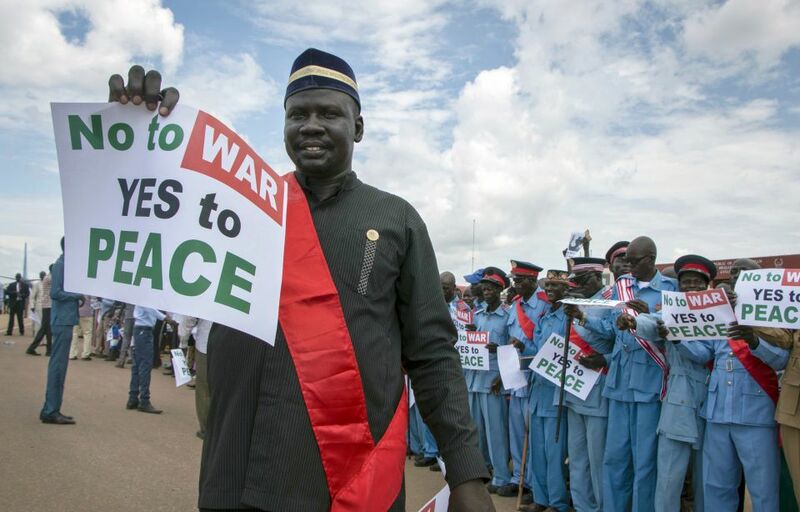 JUBA, SOUTH SUDAN — During a recent Sunday service, Pastor Jok Chol led the congregation at his Pentecostal church to pray for a sustainable peace after President Salva Kiir and rebel leader Riek Machar signed the latest peace agreement in neighboring Sudan. The two leaders signed an agreement in mid-September, hoping to end years of conflict. During his sermon, Chol urged his congregants to have faith and hope and continue to pray for a sustainable peace. He said they should refuse to be divided by political leaders along ethnic lines. 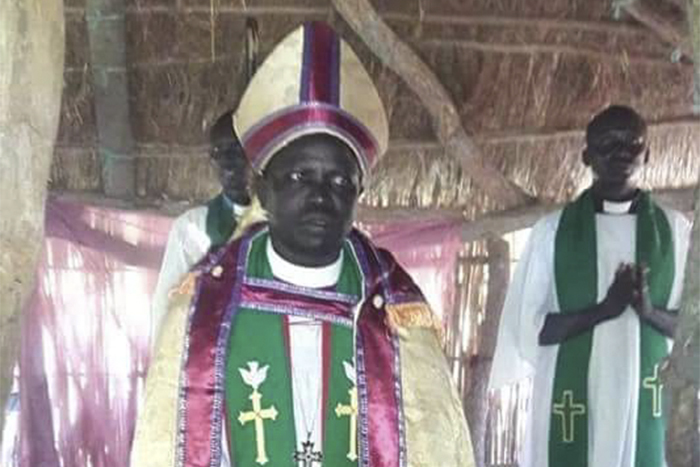 Chol and his congregants are among thousands of Southern Sudanese gathering in churches and various mosques across major cities and refugee camps to pray for their country, which has been embroiled in civil war since 2013. South Sudan erupted into civil war after a power struggle ensued between Kiir and Machar. The conflict spread along ethnic lines, killing tens of thousands of people and displacing millions of others internally and outside the border. The economy has collapsed as a result of the ongoing war. Half of the remaining population of 12 million faces food shortages. The latest treaty is the second attempt for this young nation to find peace. South Sudan became officially independent from Sudan in 2011. In 2013, civil war broke out after Kiir fired Machar as his deputy, leading to clashes between supporters of the two leaders. A previous peace deal in 2016 tried to bring warring sides together so they could find a permanent solution. But fighting broke out in the capital city of Juba a few months later when Machar had returned from exile to become Kiir’s vice president as outlined in the peace agreement. Under the new power-sharing arrangement Machar will once again be Kiir’s vice president. Religious leaders such as Chol are optimistic that the latest peace agreement will hold up. They believe it is an answered prayer for thousands of faithful. Murye has been holding evangelistic meetings in refugee camps in Uganda, where more than 1 million South Sudanese have taken refuge. He said people in the camps have been praying for leaders to embrace the new deal. But others still doubt the new peace deal. Fighting broke out in the country, killing 18 civilians, two days after the warring sides signed the latest agreement to end the civil war. Kiir and Machar supporters blamed each other for the attacks. Religion has played a major role in South Sudan’s conflicts. 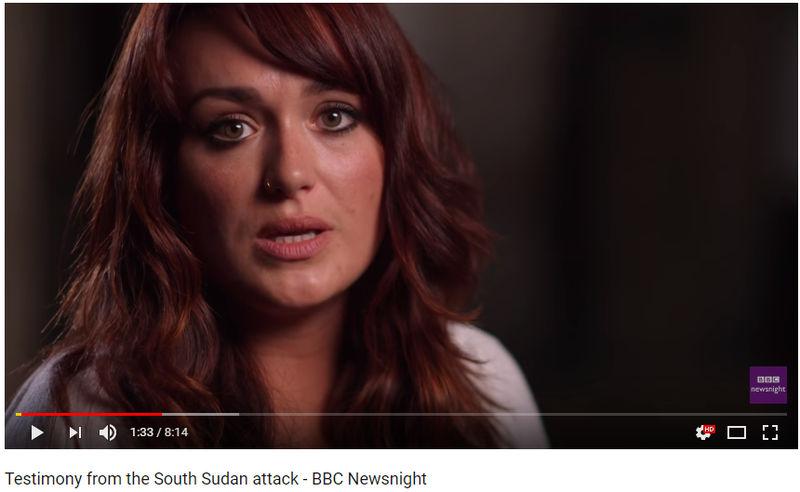 According to a recent report by Pew Research Center, Christians make up about 60 percent of the population of South Sudan, followed by 33 percent who are followers of African traditional religions. Six percent are Muslim. This is part 1 of a two part series on the role of Bibles & Peace in the Sudans. The Sudans Prayer Guide is usually sent out on a weekly basis as an email to encourage prayer partners to continually lift the Sudans to God’s Throne of Grace. One of the key projects that the SSNet [Sudans Support Network] is involved with, is to bless the people of the Sudans through the printing and distribution of Bibles. We partner with Bibles for Africa to have Bibles for these purposes. 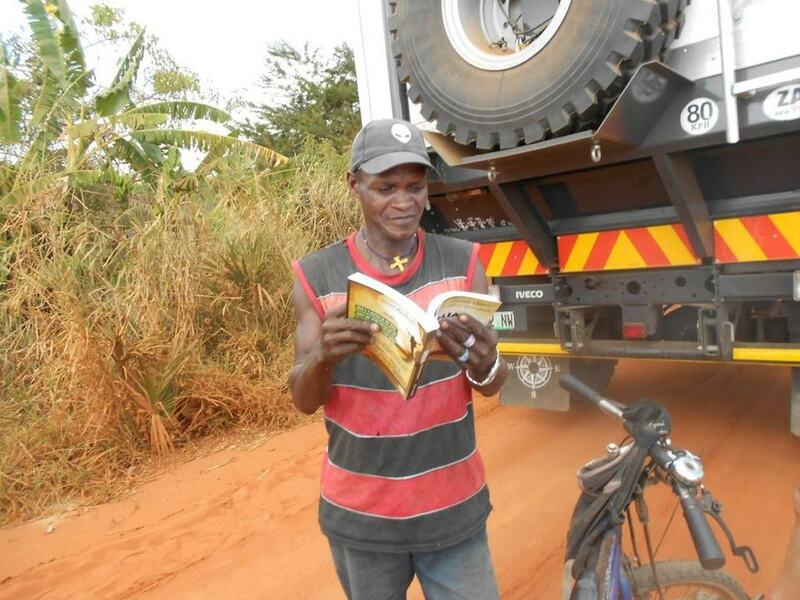 During the past few months, 100,000 Bibles was printed in South Africa and delivered at various places like Kakuma Refugee Camp in Kenya, as well as several places in South Sudan. Blessed through the Living Word of God. The Bible binder are almost in production, ready to bind, the Word of GodA new Bible Binder was bought for Bibles for Africa to increase capacity of the printing of Bibles. This include Bibles for Sudan, South Sudan and Refugee camps. Two key representatives from SSNet and Bibles for Africa is set to travel to the Middle East next month to consult with Sudanese from various churches and ministries on how to print and distribute Bibles for Sudan and to the Sudanese. Praise God for the amazing way He provided to get His Living Word, the Bible, printed and distributed through strategic partners. Praise God for the extent to which Bibles can now be printed and distributed. Praise God for all of the ongoing partnering relationships that is necessary for the printing and distribution of the Bibles. Praise God for His provision, not only for the 100,000 Bibles that were printed and distributed, but also HUGE provision for the Bible Binder. God’s provision for and in all of this is just awe-inspiring! Praise God for the envisioned trip to the Middle East next month. Pray for full provision and protection for the gathering, for everybody coming together. Pray for CLEAR DIRECTION from God as to WHAT and HOW to print Bibles in Sudan and for other strategic matters. Should you wish to donate or encourage others to donate to the Bibles for Sudans printing and distribution projects of the SSNet and partners, here is the link. On behalf of the prayer mobilization team. 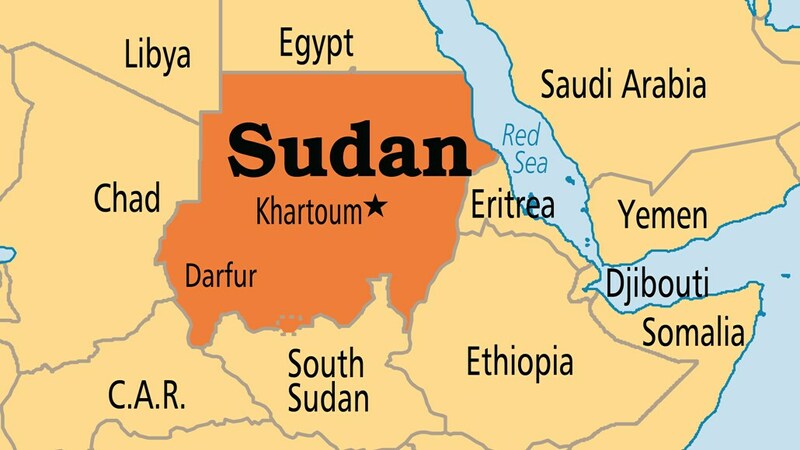 Sudan on map. Link to image. The Republic of Sudan and its neighbour, South Sudan, have agreed on a permanent ceasefire to ensure sustainable peace in both countries. The Sudanese Ambassador to Nigeria, Ibrahim Bushra, made this known in a statement in Abuja on Sunday. He said that the agreement was the outcome of a meeting between leaders of the both country on ways to resolve their conflict. According to the envoy, President Salva Kir of South Sudan and Ahmed El-Bashir of the Republic of Sudan jointly signed the agreement. He said that the agreement contained clauses as “a permanent ceasefire is hereby declared throughout the Republic of Sudan and shall enter into force within 72 hours of signing of the declaration of agreement. ‘‘The permanent ceasefire shall be based on cessation of hostilities agreement signed on Dec. 21, 2017 and within 72 hours of signing the declaration of agreement. ‘‘The parties shall agree on ceasefire agreement including disengagement, separation of forces in close proximity, withdrawal of allied-troops, opening of humanitarian corridors and release of prisoners of war and political detainees. ‘‘All relevant provisions of the Agreement on Resolution of Conflict in South Sudan shall apply; unless it is agreed otherwise, the parties shall agree on self-monitoring mechanism. Mr Bushra said that an agreement on the “revised bridging” proposal would be concluded before closure of the Khartoum round of talks. He also disclosed that after the conclusion of the agreement, a pre-transitional period of 120 days would commence and would be followed by transitional period of 36 months. ‘‘Sharing power during the transitional period shall be in accordance with the formula that shall be agreed in the revised bridging proposal,’’ he added. 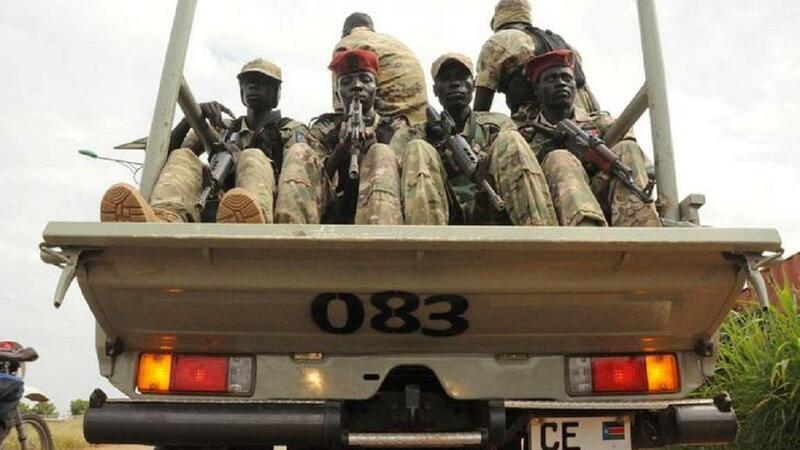 The warring sides in South Sudan accused each other of launching attacks that killed 18 civilians and violated the latest peace deal aimed at ending the nearly five-year-old conflict. 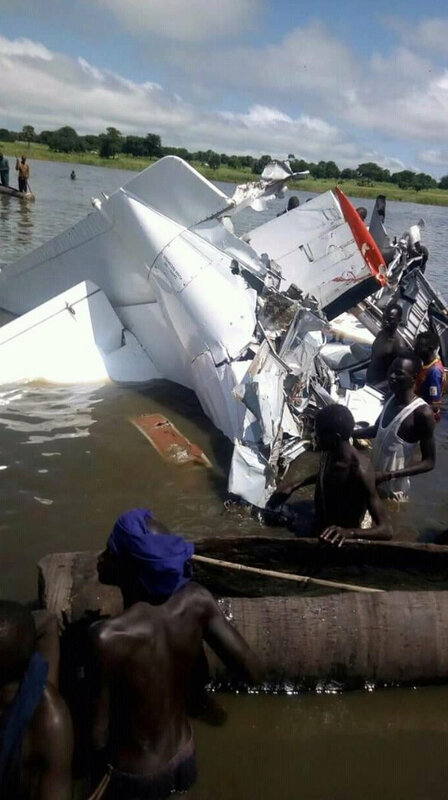 Lul Ruai Koang, spokesman for the government military SPLA said rebels attacked Maban in Upper Nile state in the far northeast near the border with Sudan on Sunday. Government forces responded and in the battle rebels killed 18 civilians and wounded 44, he said. 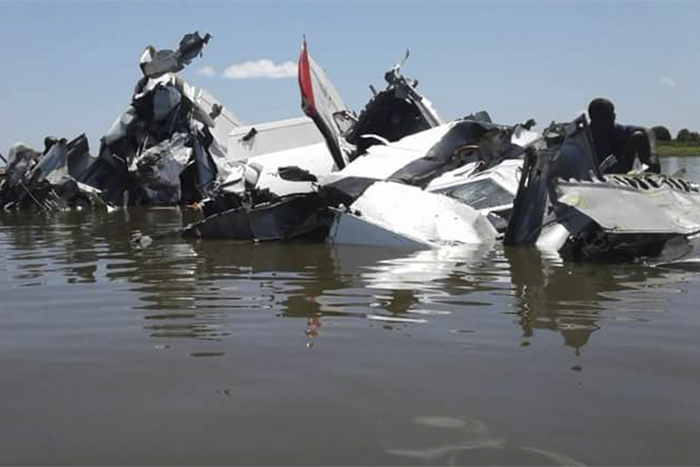 The dead included three Ethiopians and two Sudanese. 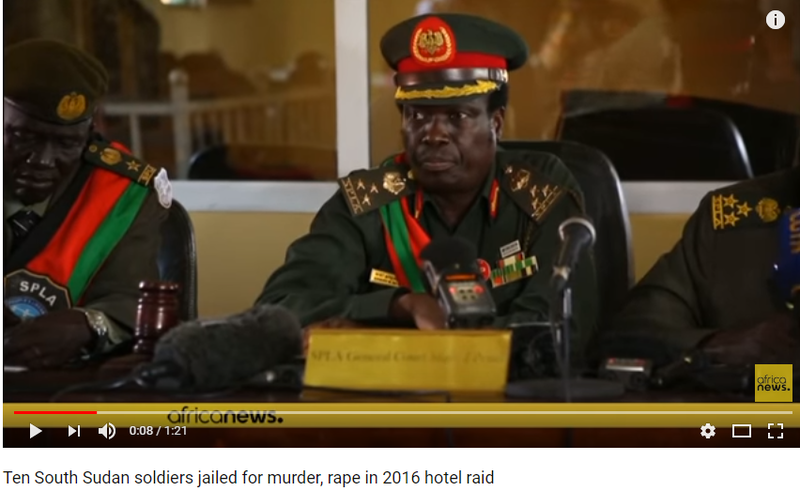 South Sudan was plunged into war in 2013 after a political disagreement between President Salva Kiir and his former vice President Riek Machar exploded into a military confrontation. The fighting has uprooted about a quarter of the country’s 12 million population, slashed oil production and ruined the economy. A peace pact last week that included a ceasefire that took effect on Saturday was the second attempt by regional mediators to try to end the war after a deal in 2015 failed. June 23, 2018 (JUBA) – IGAD Special Envoy for South Sudan said the parties to the peace revitalization process have agreed to task the United Nations peacekeepers with the protection of VIPs during the transitional period. In his briefing to the IGAD head of states and governments, Ismail Wais informed the meeting that there remains “four key areas of disagreement on the security arrangements” including determination of demilitarized areas; modalities and exemption from cantonment; timeframe for unification of forces, and the number of parties’ representatives in the Joint Transitional Security Committee. However, the parties have largely reached compromises over the outstanding issues in this chapter of the security arrangements, more than what has been agreed on the governance or power-sharing chapter. So, among others, they agreed to confer the sensitive protection of VIPs to the UN peacekeepers deployed in the country to avoid difference over who will protect this or that leader as they agreed to merge the troops. The parties agreed on “the full deployment of the RPF (Regional Protection Force) in accordance with its mandate and for IGAD to request UNSC (UN Security Council)for a review of its mandate to include VIPs protection,” Wais said. The implementation of the peace agreement collapsed after the clashes between soldiers loyal to President Kiir and his former First Vice-President Machar at the South Sudanese presidency on 8 July 2016. The matter has ruined the confidence between the two leaders and plunged the country was plunged into civil war again. During the face-to-face meeting, the two leaders raised the incident. President Kiir said he instructed his guards to protect Machar and Machar rejected the claim. 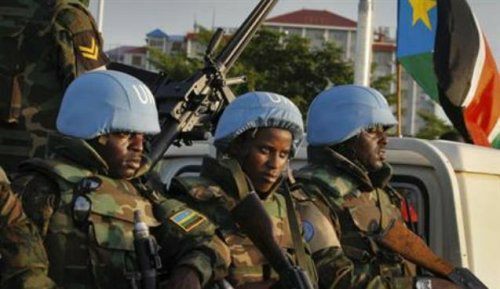 Following the clashes, the UN Security Council, in August 2016 decided to deploy 4,000 troops to beef up the existing 13,000 UN Mission in South Sudan (UNMISS) force. 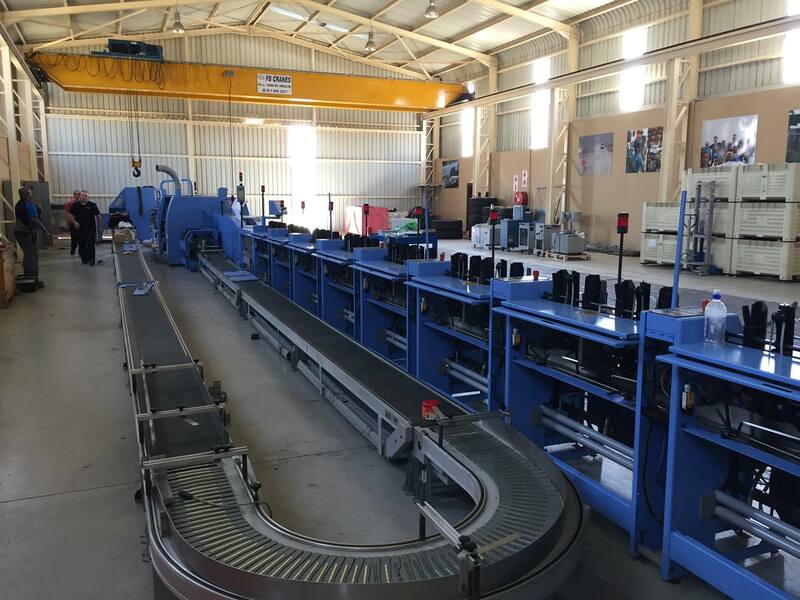 The Regional Protection Force will be mandated to protect key installations like the Juba airport, facilitate the delivery of humanitarian assistance and provide protection to the civilians. The IGAD special envoy said the parties further agreed “on unification of forces rather than integration” and to establish a Joint Integrated Police and Security Services. Also, they agreed that the duration for activities in the cantonment sites to be 90 days and reached an agreement on the composition of the Joint Transitional Security Committee. In addition, they agreed on the architecture of the transitional security arrangements, he said. Regarding the disagreements, the IGAD believes the parties have to accept the proposed solutions included in the Bridging Proposal. Wais called on the heads of states and governments to “engage the parties to sign the revitalized Agreement prepared based on IGAD’s bridging proposal”. South Sudan offered to allow a rebel representative to join its government, but ruled out rebel leader Riek Machar, saying they “had enough” of the man after five years of war against his group. 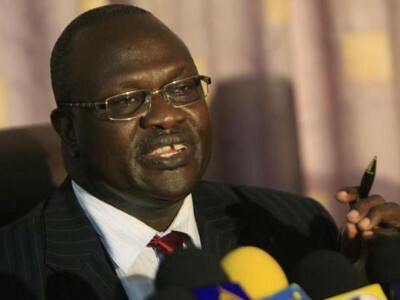 “Machar cannot be part of government”, Information Minister Michael Makuei Lueth told a news conference in the Ethiopian capital after President Salva Kiir met Machar there this week for the first time since a peace deal collapsed, leading to the deaths of hundreds of people in the South Sudanese capital of Juba.